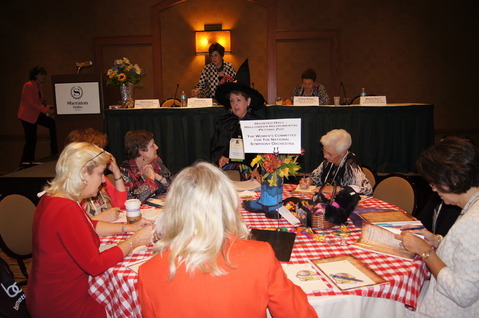 Active participation in the variety of events that are planned for the Conference will enable you to share many ideas on fundraising, increasing membership, and being better advocates for the art form we love. This is a very special Conference as we will celebrate orchestra volunteers throughout the country. We want you to be a part of this as we honor you. The Conference is June 17 through June 20. To register, visit americanorchestras.org. Join us as we dream big for the future of our orchestras! #5 Kick off your Conference experience by signing up for the Volunteer Council’s Riverboat Cruise Dine-Around on the evening of June 17th – this will be a good opportunity to see the city sights along the river and to network with volunteers from across the country. #4 The League’s opening session, Imagining 2023, will set the stage for looking at the current and future state of orchestras. The closing session, Imagining 2023: Taking It Home, will give you the opportunity to participate in an interactive session about what you are taking home and what your orchestra will be in 2023. The League’s skill-building toolbox sessions and perspectives sessions will offer all Conference delegates the opportunity to learn about exciting new ideas orchestras are testing, audience initiatives, artistic projects, and much more. #3 Learn from the “Best of the Best” as the Award of Excellence winners present the most successful and innovative projects submitted to Gold Book Online for 2013. These newly interactive sessions will give you an opportunity to actively participate in your learning. Moreover, the ever-popular Roundtable presentations will offer wonderful ideas from nine selected projects. This is all in addition to three League programs just for volunteers. #2 Speakers and panelists will discuss topics relevant to the orchestra volunteer experience. Gain insight into the future of orchestras by signing up for the Volunteer Council networking luncheon with guest speaker Garry Golden, an academically trained Futurist. And, learn about enhanced cross-cultural community development by attending a special talk for volunteers by Bo Young Lee, a global diversity & inclusion practice leader with 15 years of experience. Ms. Lee’s talk will be followed by three case studies of cultural diversity in action from the Indianapolis Symphony, Los Angeles Philharmonic, and Miami’s New World Symphony. Panelists from these three orchestras will demonstrate how they successfully engage with their communities along generational, ethnic, and cultural lines. #1 The League is honoring orchestra volunteers at their 2013 Conference as part of the Volunteer Council’s 50th Anniversary celebration – you need to be present to be honored and join in the celebration! Register before May 1st to get the early bird registration rate. Visit americanorchestras.org for more details. City Lights: Photography Contest, Girls’ Night Out, Mad Martini Nite – Southwest Florida Symphony Society: Bringing a younger, hipper demographic to downtown (per the Mayor’s request) with fashions, photo shoots, and a swinging retro martini party makes everybody happy. Derby Day – Illinois Symphony Orchestra League of Bloomington-Normal: Mint juleps, fabulous hats (with a contest), creative betting games, and cheering the ponies can prove to be a winning recipe for fundraising. Gifts of Note – Friends of the Minnesota Orchestra (formerly WAMSO): Revitalize the annual fund and give new energy to a time-tested project – after 15 years, even a solid foundation could use a few nips and tucks! Symphony Ball – Symphony League of Kansas City, MO: Effective, productive, historically tried and true methods – all the stops were pulled out to create another spectacularly successful fundraising ball. Two Parties at Komali – Dallas Symphony League: Komali (contemporary Mexican restaurant) hosts a Party of Note AND Celebrity Sips to raise funds for Young Strings – a program providing free lessons and resources to young African-American and Latino string players in inner-city Dallas. 50th Anniversary Celebration – Waco Symphony Council: Learn how to celebrate a Golden Anniversary...Waco Style!! Step by Step – Illinois Symphony Orchestra League of Bloomington-Normal: Interactive pre-concert assemblies, the concert, and post-concert follow-ups involve a VILLAGE of orchestra members, educators, local high school and college musicians, and symphony volunteers. SignUpGenius – The Symphony Guild of Charlotte: Find out about an easy “techie” way to engage your volunteers with minimum effort for maximum success! 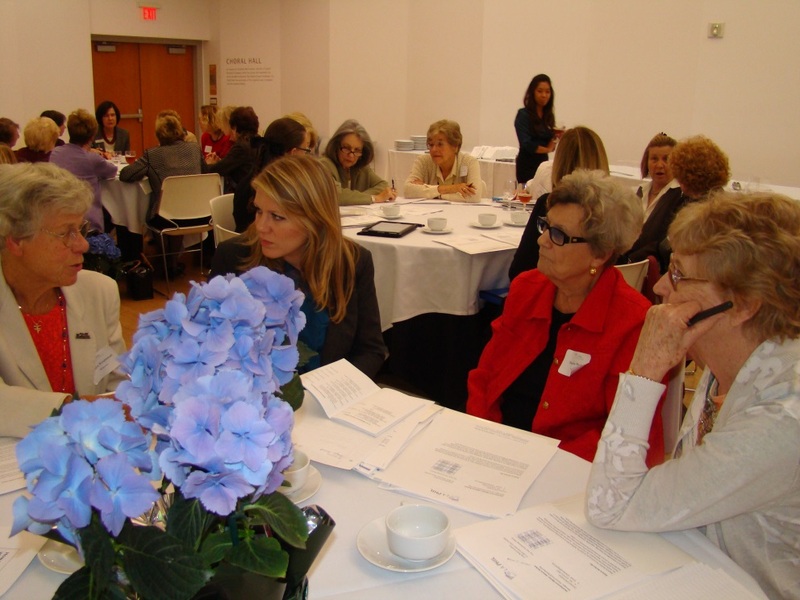 Improving Communication Strategies – Houston Symphony League: Harness web and email tools to improve communications with your members. The primary purpose of this workshop was to improve the LA Philharmonic Affiliate members’ fundraising capabilities, and to build a closer working relationship with the development department of the Los Angeles Philharmonic Association. The needs were identified by the LA Philharmonic Affiliates Six-Year Strategic Plan, which reflected concerns of the sixteen individual Affiliate committees who had requested help in the area of fundraising. A second concern expressed by the Affiliate leadership was the need to develop a stronger dialogue between the Affiliates and the development staff. To address these issues, the LA Philharmonic Affiliates presented a groundbreaking fundraising workshop in cooperation with the Philharmonic Association development department. The event began with an LA Phil senior staff member giving a PowerPoint presentation on the basics of successful fundraising. Twelve colleagues from the development department were then introduced, and each was assigned to be a mentor to one or two of the LA Phil Affiliate committees, with smaller committees sharing one mentor. Breakout sessions with individual mentors followed, where small groups held discussions on how the LA Phil could help committees reach their individual fundraising goals. After a salad and dessert buffet, the workshop concluded with presentations from the breakout sessions, reporting on what specific ideas committees could use. The project was highly successful! In the following months, fifteen out of sixteen Affiliate Committees increased their fundraising revenue from the previous year. Overall benefit revenue grew by a whopping 21%. Furthermore, in the area of campaign fundraising, there was an increase of 136% over goal. New ideas included: 1) Present Fund-a-Need events 2) Keep up committee morale: social aspects a priority 3) Keep budgets realistic 4) Conduct successful silent auctions 5) Team up with Facebook and 6) Review seven considerations before planning a new event. This Fundraising Workshop strengthened all committees, both large and small. Morale was higher because of the strong level of cooperation and collaboration with Development Staff. All agreed that the workshop was a unique, worthwhile, and motivational experience. A proposal to cap the charitable deduction at 28% is a pressing legislative issue for arts organizations according to Najean Lee, a lobbyist in Washington, DC for the League of American Orchestras. Lee gave an update to Volunteer Council members at their meeting in March. She stated that this is a public value issue. Orchestras and their volunteers need to make Congress see the value of arts for their communities including the range of people who are served. 1. NOW is not the time to limit the charitable deduction for already stretched arts organizations. 2. Unlike the mortgage deduction (for example), charitable deductions don't give anything back to the donor. 3. Preserving the charitable deduction serves to broaden the arts. 4. There are 13.5 million workers in non-profit organizations around the country. "The charitable deduction is more of a lifeline than a loophole," concluded Najean Lee.